Sakura-Ren is a dancing group performing Japanese traditional Awa-Odori dance. Awa-Odori is one of “Bon-Odori”, traditionally mourning death and celebrating the spirit of ancestors every summer. Awa-Odori has been developed into a “dancing festival” about 400 years ago in Tokushima (country of “Awa”). Today, it is one of the largest festivals in the world, with over 1.3 million tourists coming to Tokushima to watch and dance together. Regardless of age or gender, everybody can join in to Awa-Odori in their own way. The greatest part of Awa-Odori is its main philosophy that "everybody is welcome to dance and have fun together." 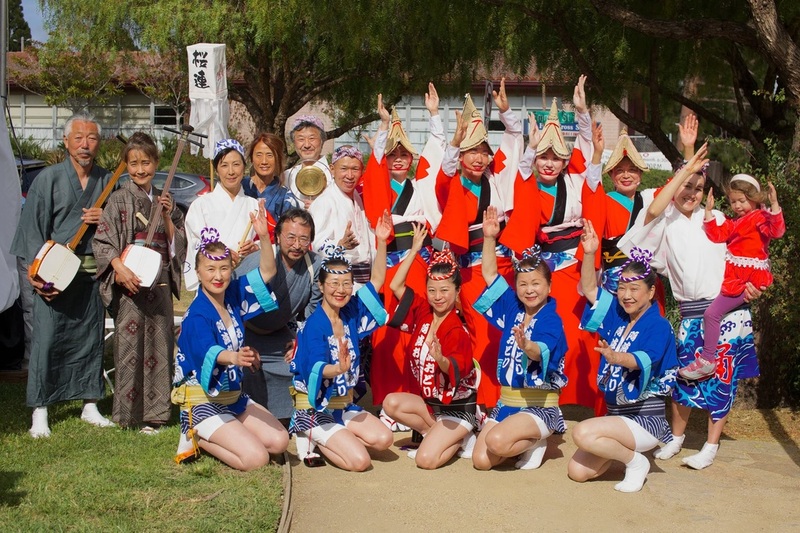 Sakura-Ren, formed in October 2013, sincerely enjoys performing Awa-Odori all over the San Francisco Bay Area. In 2014, we held 16 performances at Japanese festivals, local schools, churches, and association events. We are a serious Awa-Odori group that puts on choreographed stage performances accompanied by live instruments and vocals. While holding traditional styles in esteem, we keep bringing new and original ideas to Awa-Odori. Many members of Sakura-Ren are very active in performing art fields, and we all put different ideas into Awa-Odori to make it more interesting and exciting. The first Sakura Ren leading event!